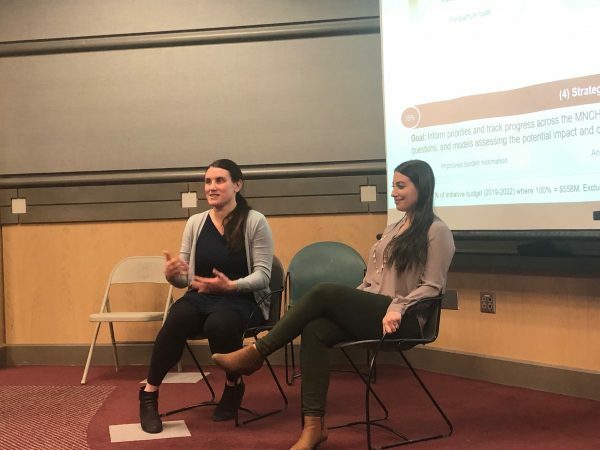 START invited epidemiologists, Dr. Patricia Pavlinac and Dr. Laura Lamberti to share their experience and perspective on careers in global health. Drs. Pavlinac and Lamberti both earned their PhDs in epidemiology, however, their career paths differ. Below, learn more about how these epidemiologists are making an impact in global health. 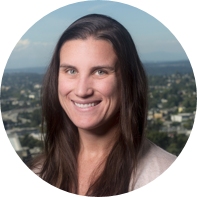 Patricia Pavlinac, PhD, MS, is an epidemiologist and co-director of the Gut Health and Child Survival Scientific Priority Area of the Global Center for Integrated Health of Women, Adolescents, and Children (Global WACh). Dr. Pavlinac’s research aims to identify and test interventions to halt morbidity and mortality attributed to enteric and diarrheal diseases. Her other research interests include antibiotic resistance and pediatric tuberculosis. When Dr. Pavlinac started her college career, she thought she would ultimately attend medical school. She questioned this career path when she took a medical geography class, which is where she was first exposed to the concept of global health: health at a population level instead of at an individual level. As an undergrad she was also first exposed to research while working with mice in a lab. This lab experience taught her that she liked having tools to address an issue and using them to find results, a trait that has steered her work today. After undergrad, she worked in the Peace Corps, which she identifies as a turning point in her career. In her time in the Peace Corps, she learned two truths about herself: she wanted to be involved in Global Health, and she couldn’t be involved in direct care of patients. “I didn’t have the tool set to personally be giving individual’s care, so medical school was off the table.” This realization informed the next step in her education. After completing her time with the Peace Corps, Dr. Pavlinac came to the University of Washington, where she began to study epidemiology. In her beginning studies, she learned a lot about systematic reviews, which she became quickly frustrated with because they use facts that other people have generated. She realized in this time that she wanted to be directly involved in conducting research. While completing her master’s degree in Epidemiology, Dr. Pavlinac was engaged as one of the first START research assistants. START gave her a critical lens to review data and analyze literature, and to communicate research findings to people without epidemiology training. Today Dr. Pavlinac is coordinating large trials and eagerly getting results. Her takeaway advice from the session was this: work with people you really like. Find mentors who advocate for you. Take advantage of doors opening and say yes as much as you can so that the things you commit to can be done really well. In academia, being known as a “yes person” can serve you. Be opportunistic in a way that is true to your core goals and make time for what you love. Laura Lamberti, PhD, MHS, is an epidemiologist with experience in child health research in low- and middle-income countries. Currently, she is a Senior Program Officer (SPO) on the Bill & Melinda Gates Foundation’s Maternal, Newborn and Child Health Discovery & Tools (MNCH D&T) team where she leads the Strategic Data Analytics & Synthesis initiative. She also leads the Enteric and Diarrheal Diseases team’s Evidence Generation initiative focused on pathogen-specific burden estimation and epidemiology. 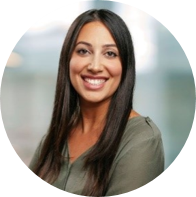 Dr. Lamberti earned her BS from Columbia University in Biomedical Engineering, with the intention of ultimately either going to medical school or getting a PhD in Engineering. During her undergraduate education, she became involved in community health programs in the local area, but had no exposure to Global Health. Dr. Lamberti noted that early in her education she received some good advice: take as many skill-building classes as you can early on in your academic career. You can find many ways to get exposure to content and concepts, but the skills classes will open doors to internships and consulting opportunities. Through faculty connections, she participated in internships where she gained epidemiology experience. Because of these internships, she decided to pursue her MPH from Johns Hopkins. After receiving her MPH, she worked for about a year with an NGO in New York City, where she quickly decided she loved research and went back to Hopkins to pursue a PhD in Epidemiology. During her PhD, she conducted field research and evaluation science, where she honed the epidemiology skills that make her successful today. In her current role at the foundation, Dr. Lamberti provides her epidemiology content expertise to projects and must be able to decide how an intervention contributes to the impact of the study, examining the impact at the individual, household, and village level, while also taking bias into account. A lot of the work she did for her PhD has carried on in her work at the foundation. Today, she decides on strategy to disperse funding, using the epidemiology lens and toolkit that she has developed through her career. Her takeaway advice for the session was this: if your time can afford consulting opportunities outside of your academic requirements, then do them as early in your career as you can. It is a great opportunity because it exposes you to new people, opportunities, and knowledge. It is a really important and useful part of your early career. Because time is such a limited resource, when evaluating an opportunity, ask yourself if this will allow you to learn something new, and act on those opportunities.